I have done a lot of traveling in the past 12 months and being me, my beauty products tend to take up half a suitcase and it bugs Hoff so much, but I'm a girl and that is just what we do... right? Here are a few of the essentials I have in my suitcase for those sunshine holidays I love so much. Tried and Tested by me for years, I have upgraded from new product to new product, depending on how my skin is feeling but this sensitive little angel generally needs sensitive products, so these products are perfect if you have skin like mine, sensitive. 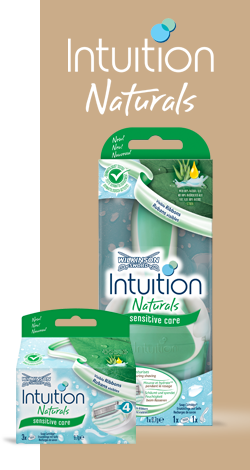 Wilkinson Sword Intuition Naturals Sensitive with Ribbons is the first 3-in-1 razor to lather, shave and moisturise in one easy step. Achieving a naturally healthy glow after every use, the skin conditions and moisturises as you shave and works in harmony with the pivoting head to closely follow your body’s contours. Simple and convenient, it’s the perfect razor for women on the go. RRP £6.99 available nationwide. Impulse Body Spray is designed to be easy, refreshing and fun to use the new Impulse collection has been produced by the same perfumers who work on the finest perfumes. Impulse is perfect for an on-the-go fragrance boost. RRP £1.99 available nationwide. Lee Stafford Dehumidifier Hair Spray Use it before exercise, before clubbing, before bed, before facing the world! So don’t fear humid air anymore, frizz will have to find a new victim because you’ve found the Poker Straight Dehumidifier. RRP £5.99 available nationwide. I wasn't paid to write this post, I genuinely have used and am still using the products above, I have been sent a few of the items in the past for review by the company.